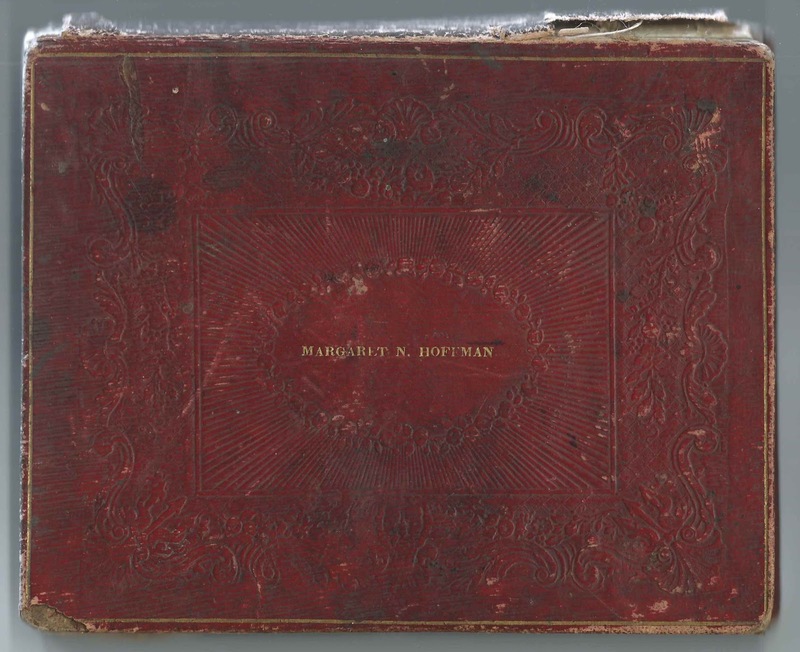 1830s/1840s autograph album that belonged to Margaret N. Hoffman, whose name is printed on the front cover. 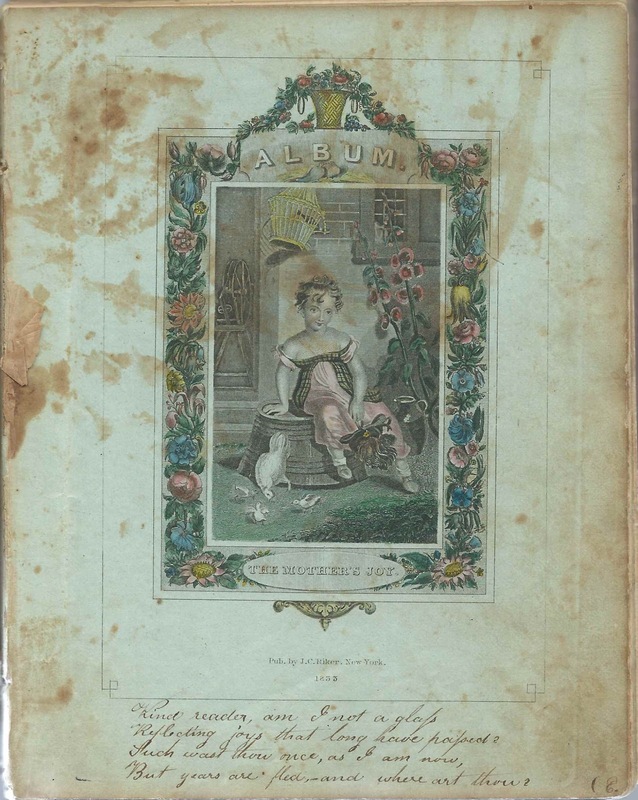 The person who sold me this album indicated that Margaret was from Caroline, New York, and was a student at Normal School at Ithaca, New York. 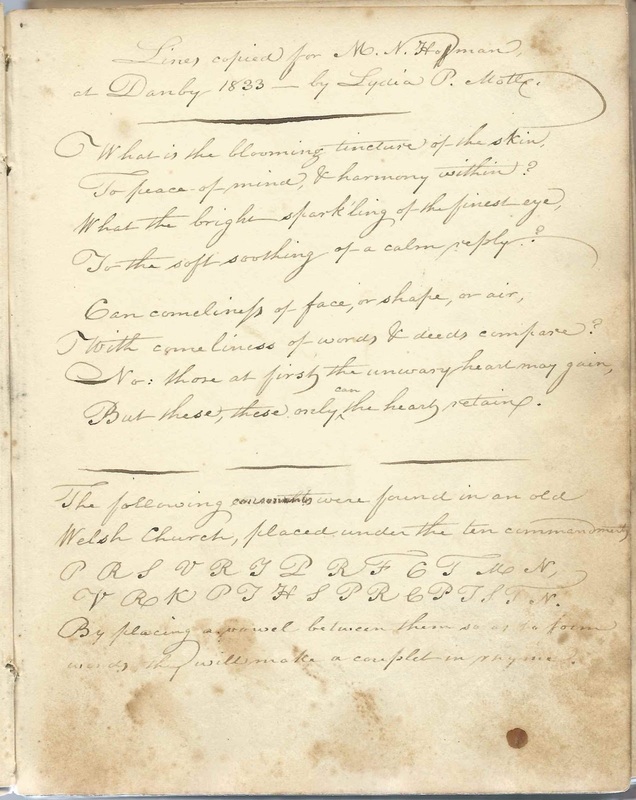 Several inscribers also mentioned the Western Reserve Teachers Seminary at Kirtland, Ohio in 1846; perhaps Margaret was a teacher there? The album, which was published by J. C. Riker of New York, New York, in 1833, measures approximately 7-1/2" by 6" and contains several engravings interspersed throughout. It also includes the sentiments of perhaps as many of 60 of Margaret's friends and schoolmates, although perhaps far less, as it appears that some people inscribed more than one page. B Brown Lord  Simpson ? 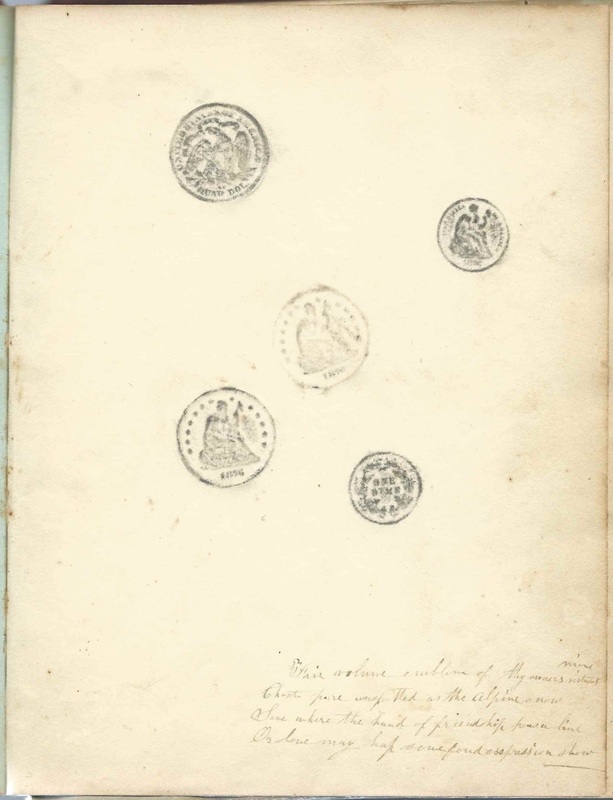 Several Leggett sisters inscribed pages, some more than one. Mariette S. Leggett inscribed the page below. Emiline Rounseville of Caroline, New York, inscribed the page below in 1835. 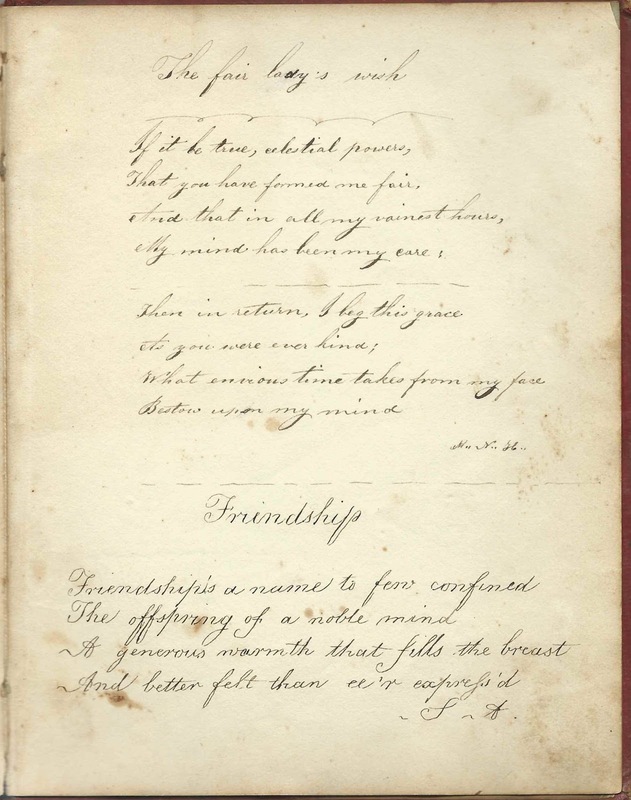 The page, below, was inscribed by two people, M.N.H. and S.A. M.N.H. 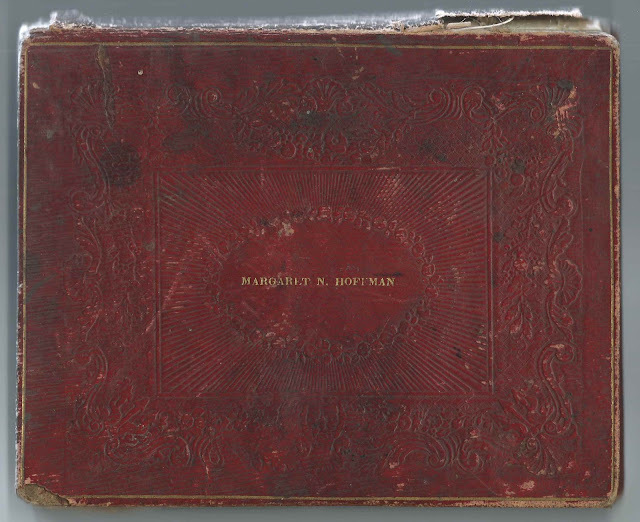 may have been the album owner Margaret N. Hoffman. If you have information on the family of Margaret N. Hoffman, or information on any of the inscribers listed below, please leave a comment or contact me directly. U. M. or ? M.
A. E. L. or A. E. S. or A. E. ? 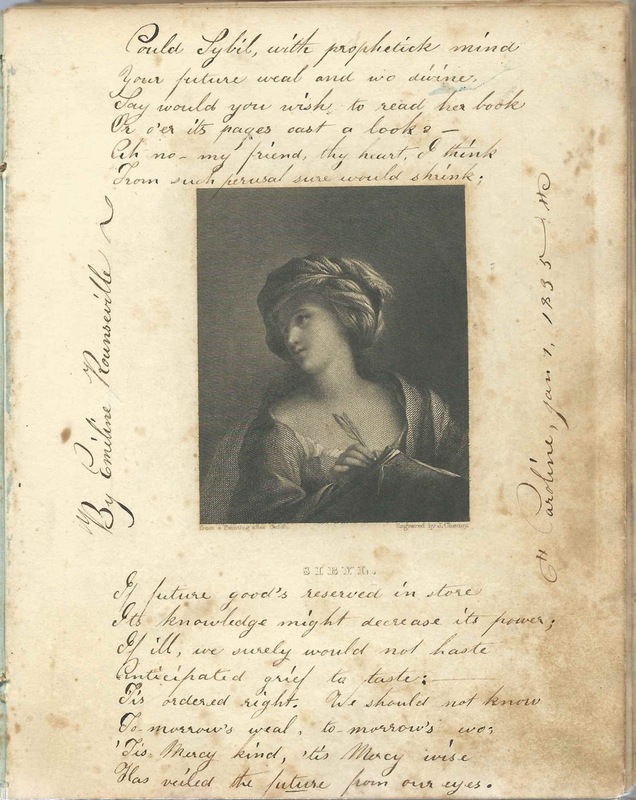 H. B. L. Could this is the Hannah B. Leggett who inscribed another page? L. M. L.; inscribed at Ithaca, New York, in April 1841. Could she be Louisa Maria Leggett? 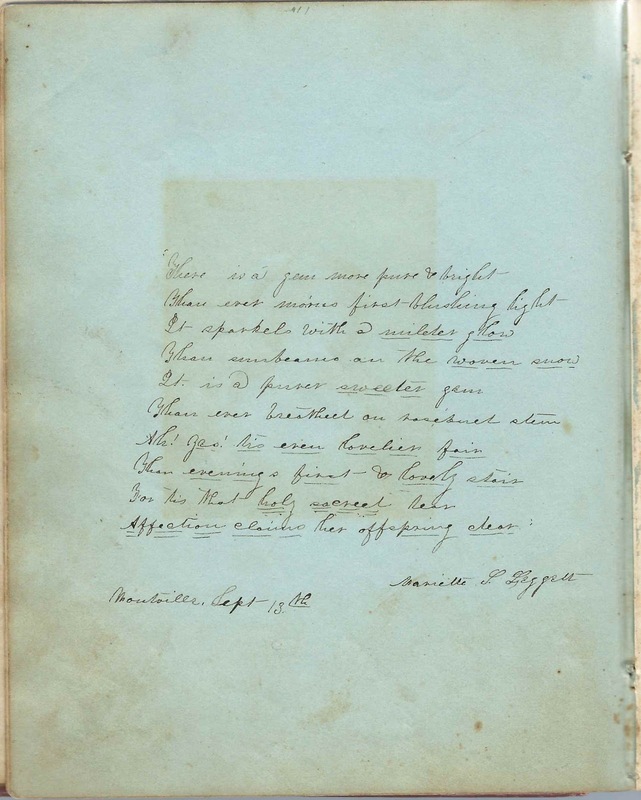 M. N. H., presumably a piece inscribed by album owner Margaret N. Hoffman herself. 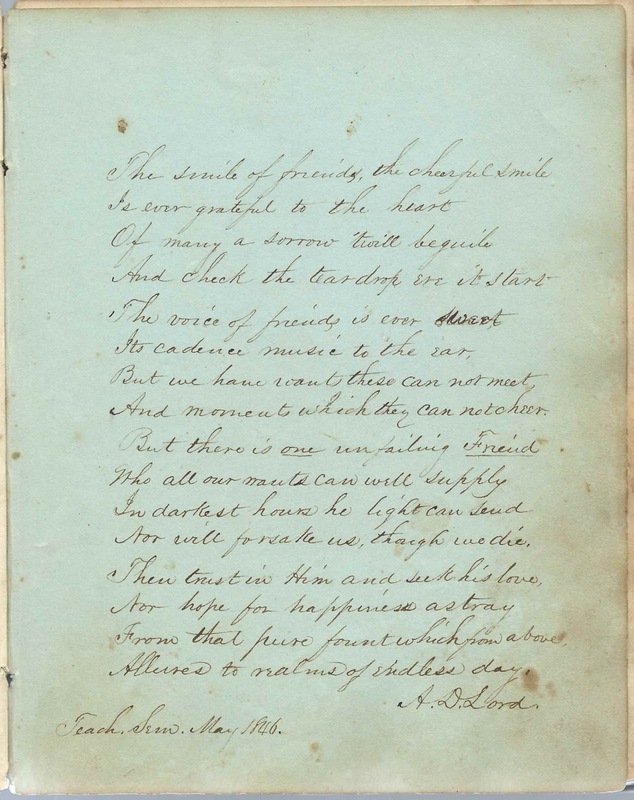 Shared the page with S. A.
E. W. Russell Lord; inscribed at the W. R. Teachers Seminary at Kirtland, Ohio, in May 1846. 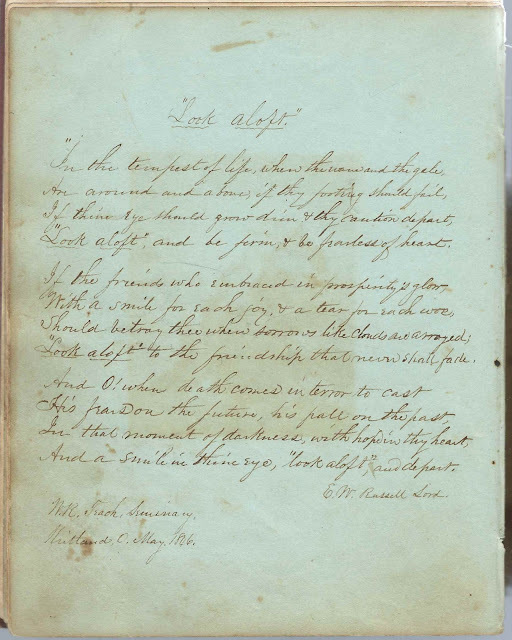 Elizabeth Watson (Russell) Lord, whose husband, Asa Dearborn Lord, inscribed the overleaf. 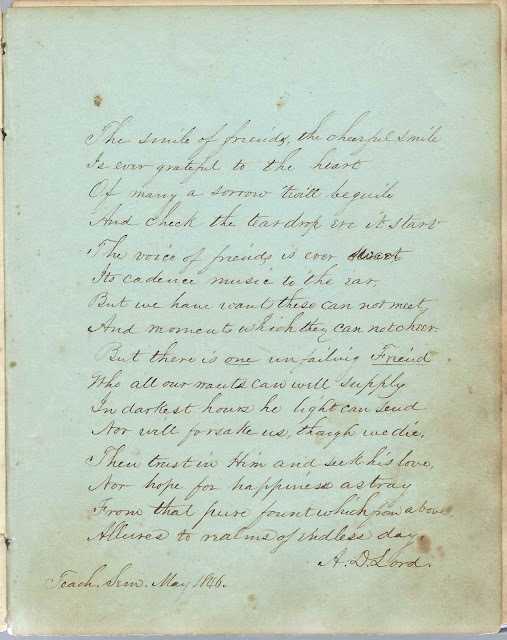 2-page sentiment by Simpson; inscribed at Ithaca, New York, on August 3, 1833. Looks as though a name or initial before Simpson has been rubbed.